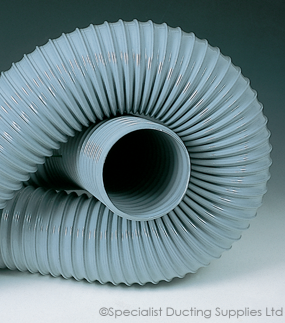 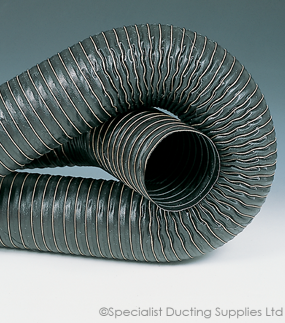 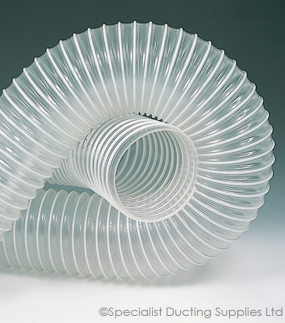 Extremely lightweight, very flexible duct made with high tensile spring steel helix. 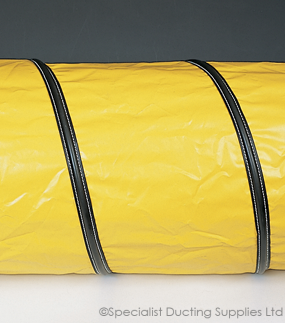 Covered with neoprene coated and impregnated glass fibre fabric with an outer cord of neoprene coated glass fibre. 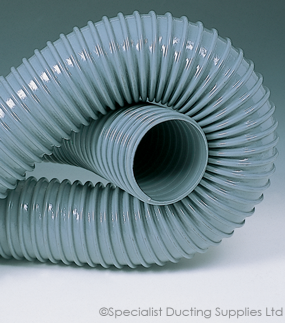 Conveying hot or cold air, fumes and light dust at low pressure.